Winemaking is like art. Making Sauternes is art beyond art – it is the Leonardo de Vinci of winemaking. Those aren’t my words, but those of a wine producer I met in Bordeaux. Crikey. I so love Sauternes, the unctuous sweet wine. No, no, don’t stop reading. If I’m preaching to the converted, apologies. But if you’ve never tried Sauternes, or any other so-called dessert wines, then humour me. Noble rot – botrytis – is a fungus essential to Sauternes. In the sweet wine region of Bordeaux morning mists form over the river Ciron, then sunny afternoons, create ideal conditions for the fungus to grow on sémillon, sauvignon blanc and muscadelle grapes. 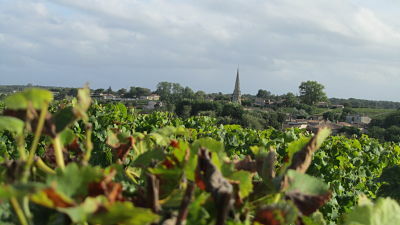 I picked a grape from a vine at Château d’Arche on a hill above Sauternes village church. It had begun to show the signs of noble rot and was concentrated and raisiny. This was just before the 2013 harvest. Then grapes would be picked one by one; day by day for several days. That’s each and every single grape; picked at the exact time it has reached perfection. I met Jérôme Cosson at Château d’Arche and chef Georges Gotrand who exploded the myth that Sauternes should only be served with desserts and cheeses. In that part of the world Sauternes is enjoyed throughout the meal. 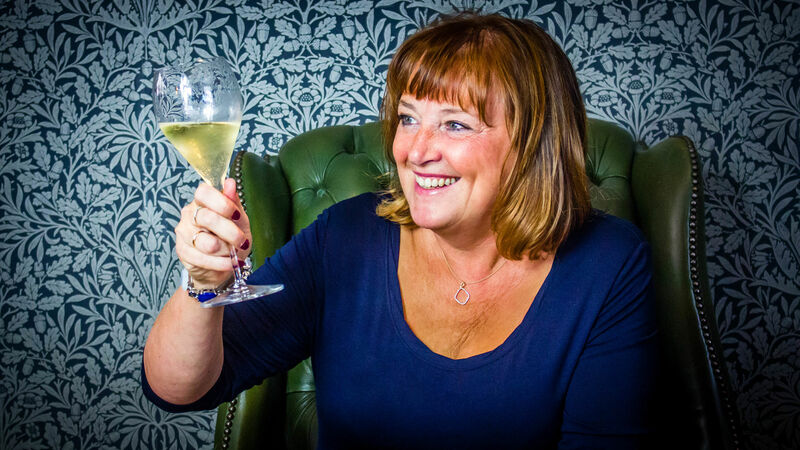 Or even as a well-chilled aperitif – and why not? A toasted baton, spread with roasted espelette chillis, ham and sliced scallops was delicious with a glass of Monsieur Cosson’s finest. Chicken thighs roasted and basted in Sauternes for the last 15 minutes were a revelation. Chef told me that Sauternes works well with Moroccan spices. So at home, I roasted chicken in ras el hanout spices. For under a tenner, L’ilot de Haut Bergeron Sauternes 2010 (£9.99, M&S half bottle) is a fantastic start if you’ve never tried Sauternes. There are aromas of dry honey, candied citrus and marmalade – the thick-cut kind from big fat Seville oranges; a fleck of lavender too. To taste, long-lasting honey richness but with lemon running through it. And thank you chef – it was amazing with the chicken. Other supermarket Sauternes to look out for are Sainsbury’s Taste the Difference Sauternes 2010 (from £12.99) and Waitrose Sauternes Château Suduiraut 2007 (£16.99). Both 37.5cl. Chateau d’Arche 2001 Grand Cru Classé is £60 at Majestic and Chateau d’Arche 1997 2ème Grand Cru Classé is £27 from Laithwaites. It was amazing, that’s true!